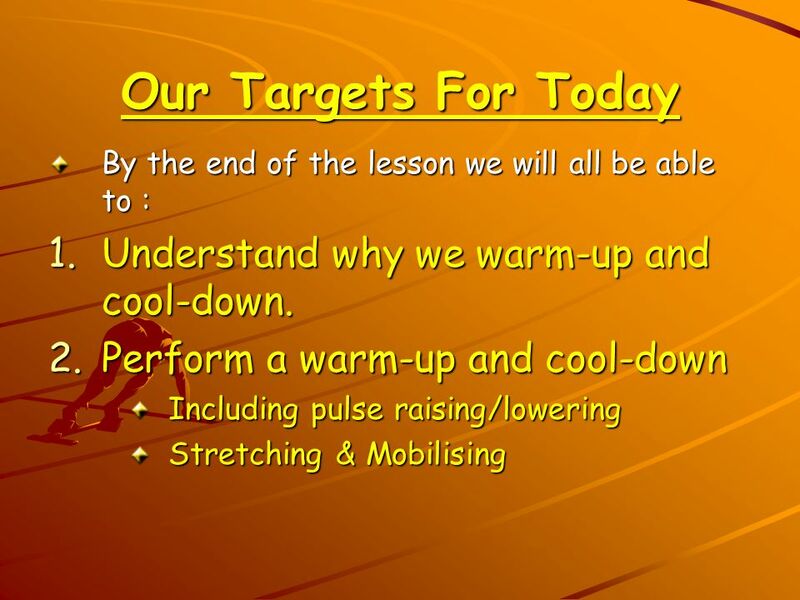 3 Our Targets For Today Understand why we warm-up and cool-down. 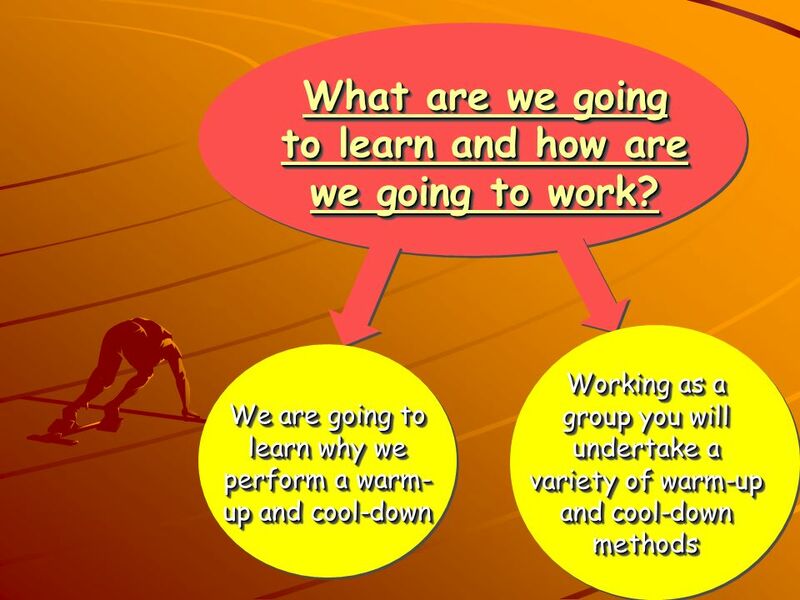 4 What are we going to learn and how are we going to work? 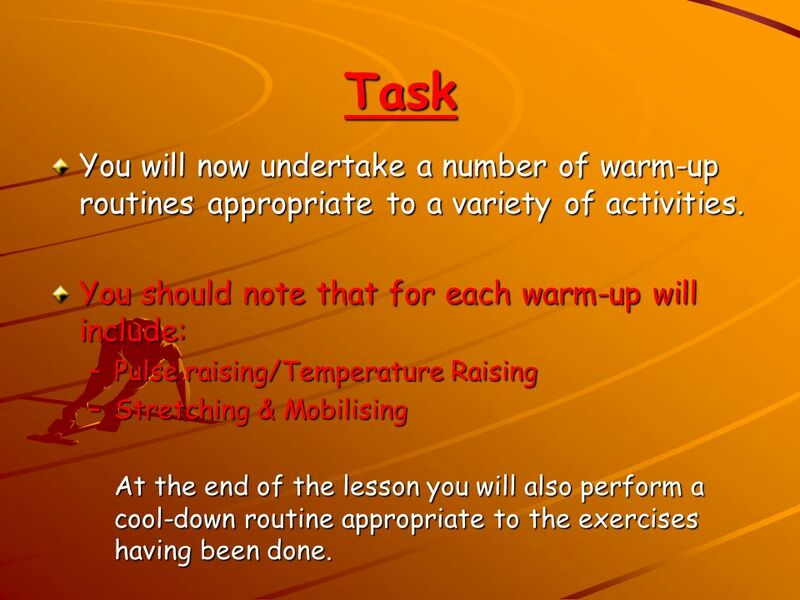 7 Task You will now undertake a number of warm-up routines appropriate to a variety of activities. 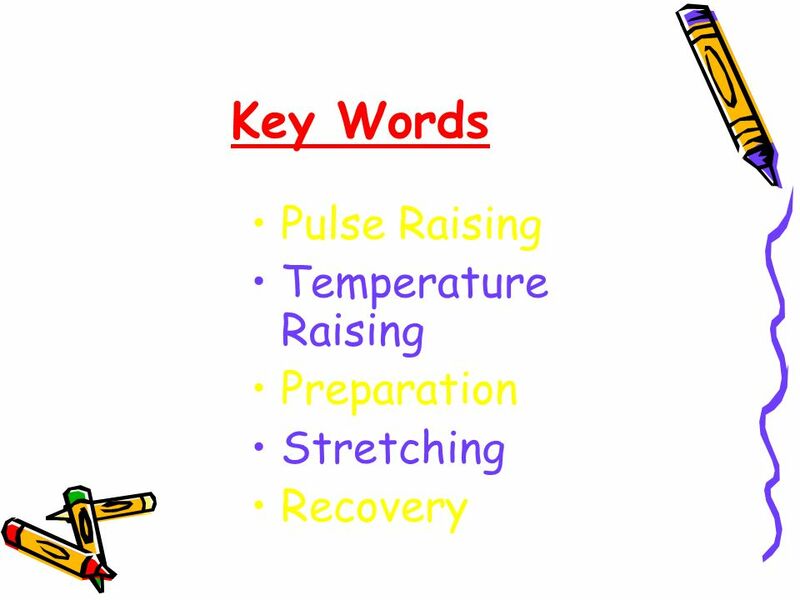 You should note that for each warm-up will include: Pulse raising/Temperature Raising Stretching & Mobilising At the end of the lesson you will also perform a cool-down routine appropriate to the exercises having been done. 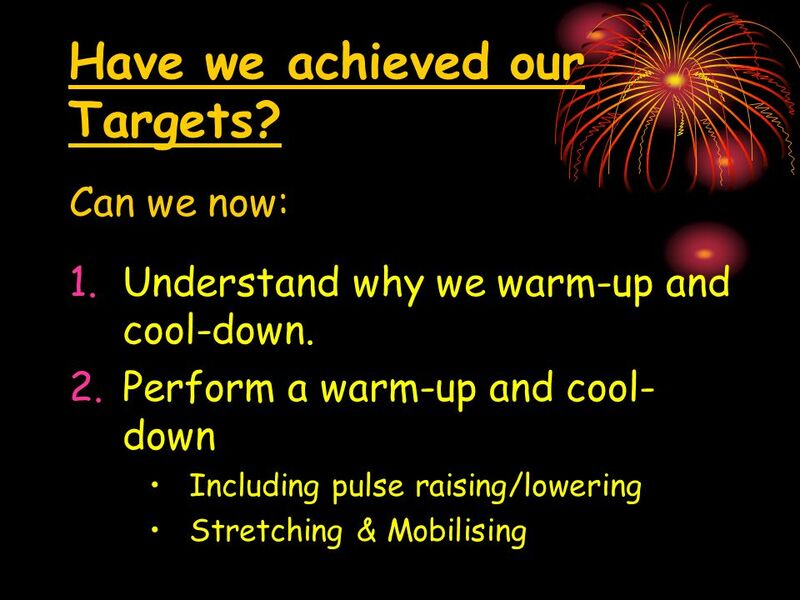 8 Have we achieved our Targets? 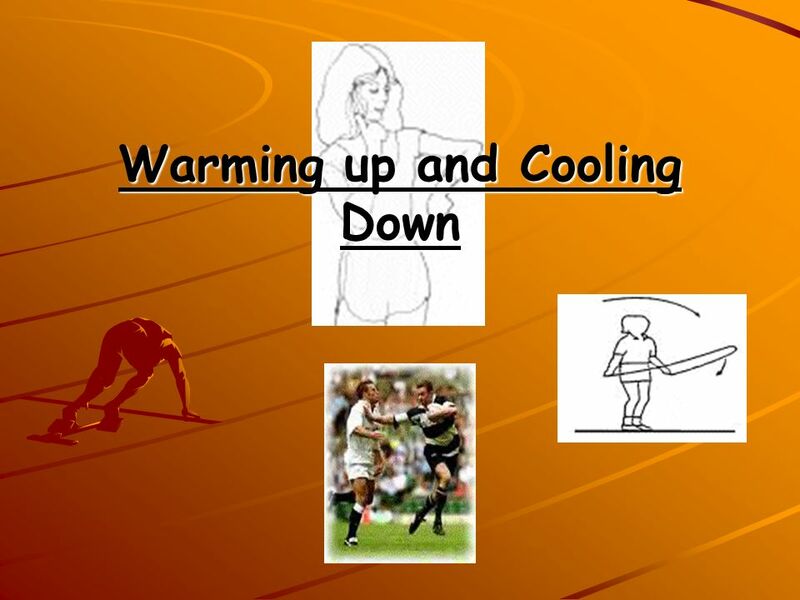 Download ppt "Warming up and Cooling Down"
WARM UP and COOL DOWN. Why do we need to Warm Up? To gradually prepare our whole body for exercise To avoid injury to muscles, tendons and ligaments. A BodyMend Wellness Clinic Presentation Facilitator: Rob Rossi, Active Care Specialist, Personal Trainer May, 2014. WARM UP, MAIN ACTIVITY AND COOLDOWN. 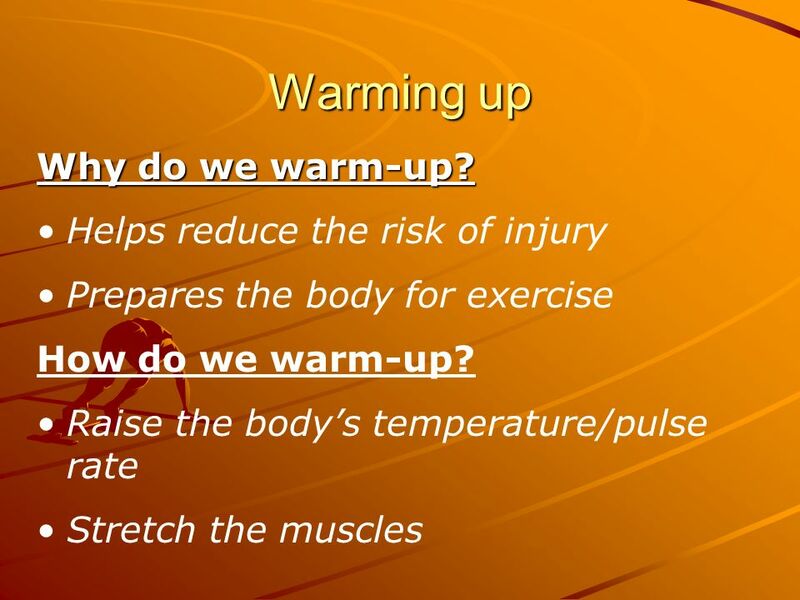 WARM UP Gradually raises body temperature and heart rate We warm up for 3 reasons: 1.To prevent injury 2.To improve. Warm-Up, Stretch, & Cool-Down “Early to bed and early to rise, makes a man healthy, wealthy, and wise.” ~Benjamin Franklin. Project due by October 7th PERSONAL WORKOUT PROGRAM. The Benefits of a “Warm-Up”. What is a warm-up ? FIRST part of every training session FIRST part of every training session This involves gradually warming. GCSE Physical Education The Exercise Session. 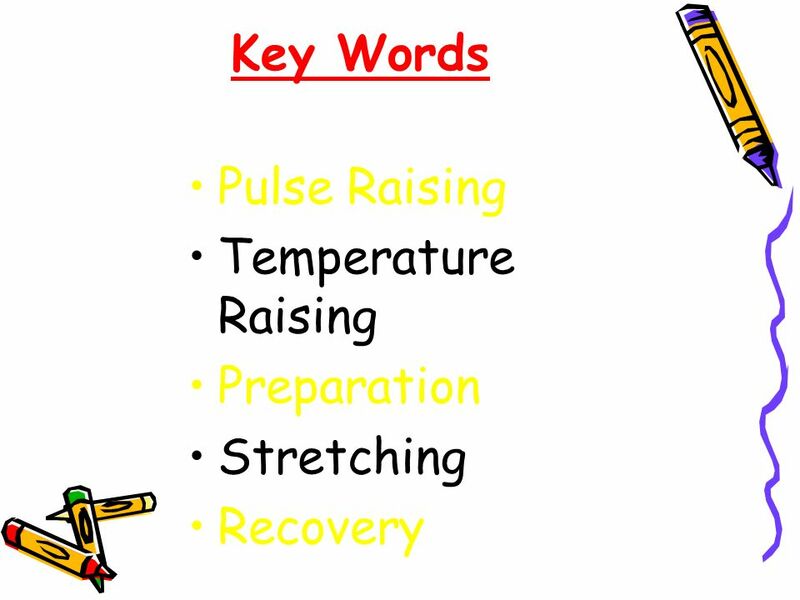 Learning Objectives By the end of this lesson pupils should: Explain a warm-up, main activity and cool down. Methods of Training Learning Objectives: To know the different elements of an individual training session. To be able to name and explain five methods. Linda Sierra For those studying Health Promotion and Fitness Management. Stretching: Why It is Vital to a Good Workout. Warm ups: Essential Keeps your body limber and flexible Primes your nervous system Prepares your muscles. Club sport athletes Kyle Barile. 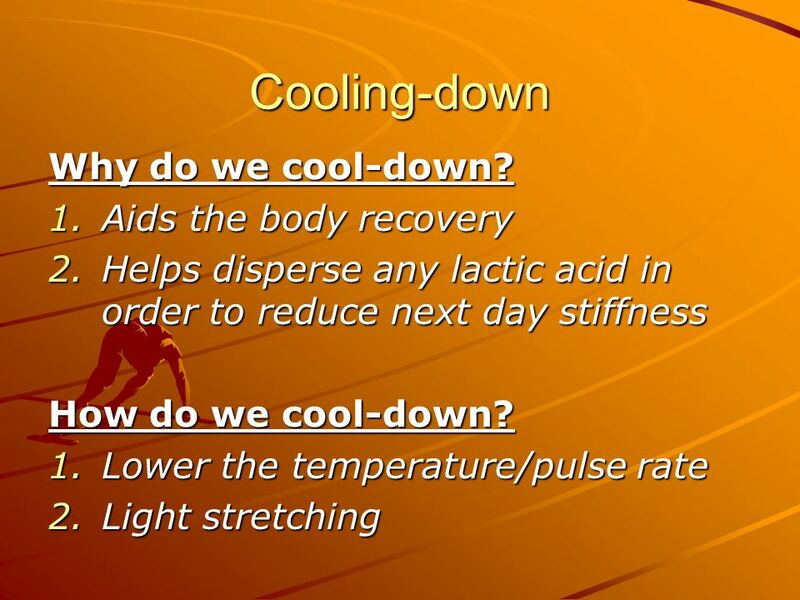 Warming up and cooling down are equally important to the body. The exercise session © Pearson Publishing Tel 01223 350555.